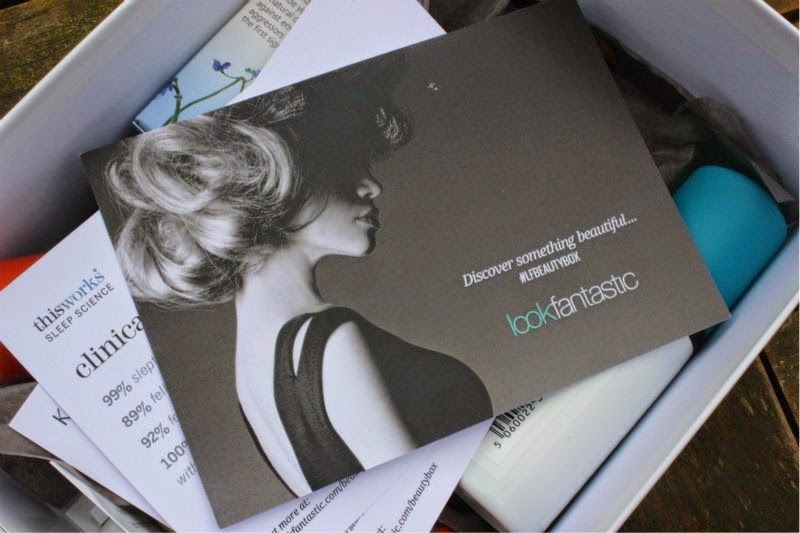 I'm sure a collective groan rang around twitter when Look Fantastic announced that they were indeed set to launch a beauty box of their own. I agree that the beauty box market is slowly becoming redundant, yet I do have to say that the Look Fantastic offering is stellar and so well priced in regards to what you receive. Forget flimsy perfume samples this box is bursting full of products that many of us not only love but perhaps hope to try out one day. 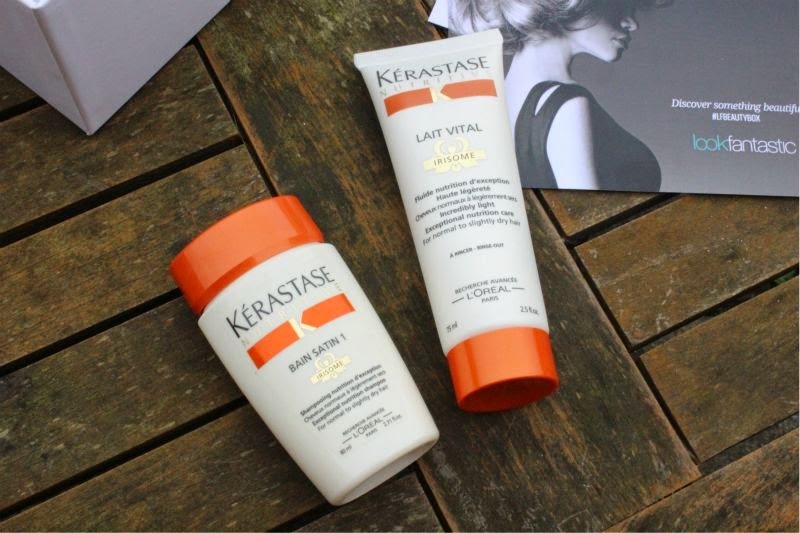 I am a HUGE fan of Kerastase hair care, yes it is pretty expensive but it is one of those few brands that does exactly what it says on the tin. This formula has been created for normal to dry hair to gently add a much needed dose of hydration to the hair as well as protecting against heat styling. It does not weigh the hair down but will leave it feeling silky soft from the first wash. Much like skin care I do see hair products as an investment especially if you colour, bleach or use a lot of heat on your hair. 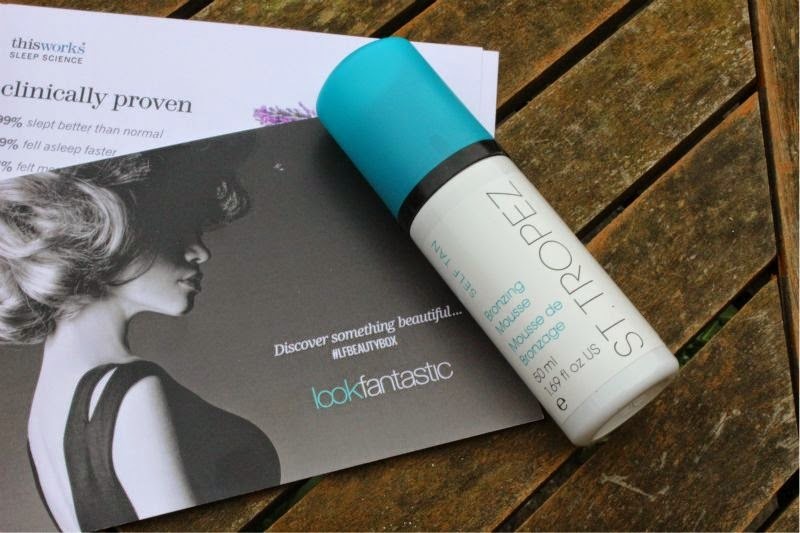 If you enjoy self tanning then you do at some point have to try out the cult product that is St. Tropez Self Tan Bronzing Mousse. I agree wholeheartedly that this is a super-lightweight, easy-to-apply (due to the tint), velvety mousse that delivers an ultra-even all-over tan. It is one of those few tanning products that is difficult to get wrong and rather than looking orange it gives an olive finish. I can't count how many bottles I have used in the past 10 or so years. A staple in any self tanning fan's stash. As this is skin care my thoughts are pretty limited as I have not been trialling this long enough to give the most concise of reviews. What I can say that it has been created to improve the appearance and texture of your skin. 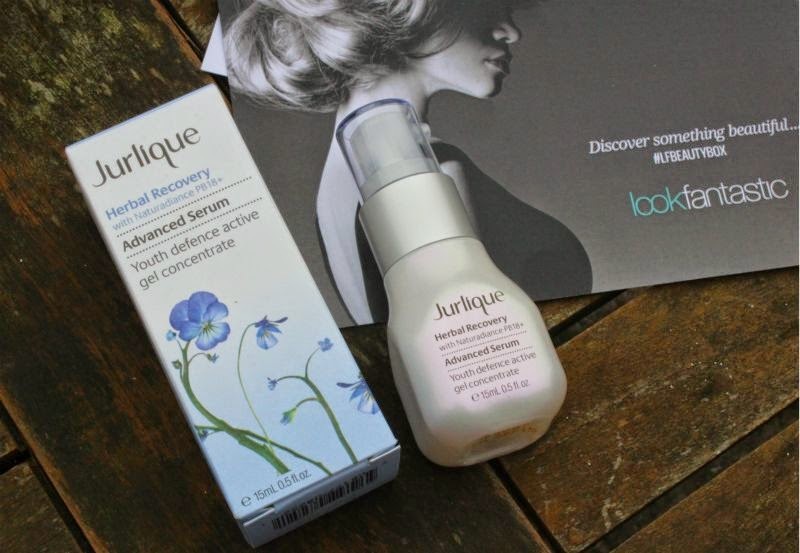 It can help to minimise the signs of ageing, this multi-tasking serum targeting fine lines, increases elasticity, enhances radiance and boosts hydration. So far I can agree that it is nourishing and moisturising as well as leaving my skin super soft. 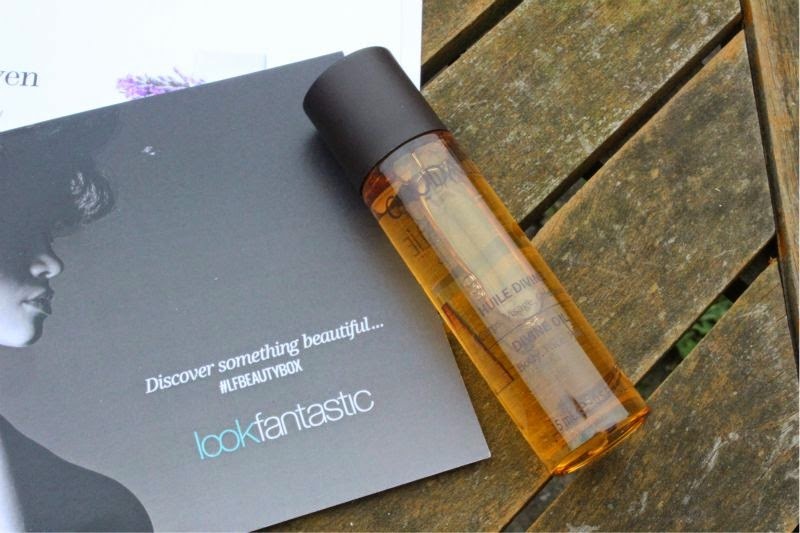 Another cult product - a light weight dry oil that can be used on the hair, face and body to nourish, protect and moisturise. I personally adore the fragrance of this oil and love to mix a little in body creams and hair conditioners for an extra boost of moisture. I've openly said a few times that as much as I love the brand This Works this pillow spray is not for me. It is a strong blend of Lavender, Vetivert and Wild Camomile oils to help the user unwind before nodding off to sleep. And there we have it one rather wonderful beauty box and to think this is only the first box...imagine what is yet to come? Well Kérastase is the professional haircare line from L'Oreal that most saloons use and their products are really good and a bit expensive. Caudalie is also an High End brand. I can't say anything about the rest because I don't know the brands. I noticed though that they send more hair and skin care products. I would like some makeup too! I picked up one of this and I'm super impressed! I think it's fantastic after a wealth of disappointing Glossybox's! You got some awesome stuff! Great brands! These are some really great products especially for the price! I love when they include pricier products as I love trying things before committing to the full size. Love the idea of the pillow spray! The products looks really beautiful, and great value for the price! Nice :-O I think there's a lovely selection of products in there. My Mother brought the It Works Sleep spray home from a trip to Italy and although I don't like vetivert, i love this spray because it really did help me sleep. I can not find it in the states. So bummed. 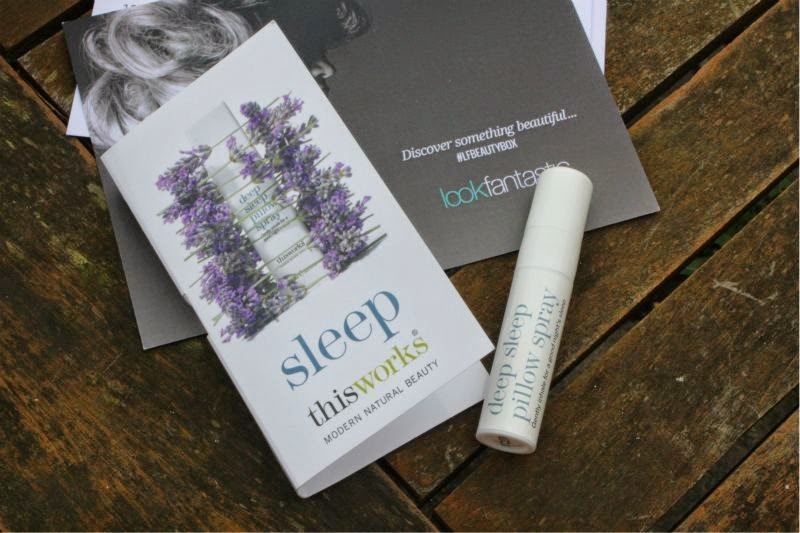 Hi, I think Space.NK in the US (online if there's no store near you) sell This Works, including the sleep range - hope you can find it! What a lovely selection product!